GALLAGHER WHEAT OSU’s Gallagher wheat variety boasts Duster parentage and forage production with improved yield and disease resistance. SMITH’S GOLD WHEAT A solid dual-purpose variety, Smith’s Gold features excellent yield potential with strong greenbug and Hessian fly resistance as well as protection against stripe rust earlier in the spring and after flowering in the adult-plant stages. Its parentage includes Gallagher, a popular variety also developed by OSU. FORAGE MAXX SOFT RED WHEAT Forage Maxx is an excellent option for forage; silage; and grain production. 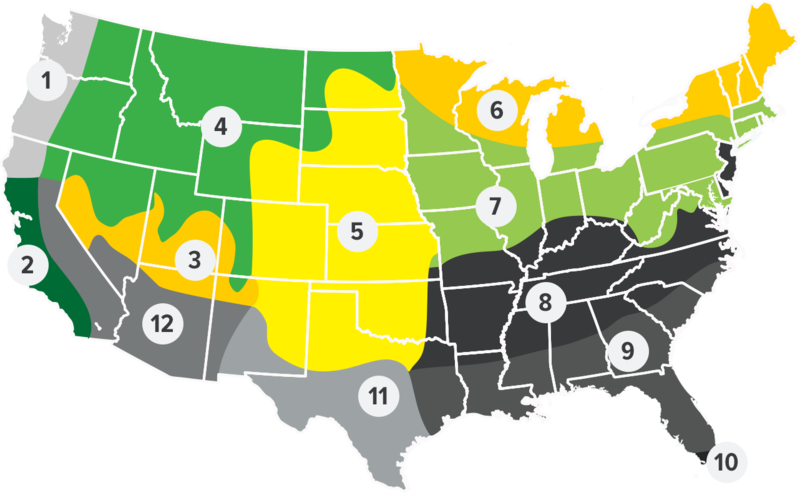 Forage Maxx does well across a wide variety of soil types and weather conditions and is adapted for use throughout Midwest; South; and Southeast regions with good straw strength and tillering capacity. VNS RYE Rye is a very popular cereal grain for cover crops or forage through late fall and early spring. FRIDGE TRITICALE Fridge Triticale is a hybrid of cereal rye and durum wheat, combining the best qualities of both. It is later maturing than other small grains, has high protein content, high lysene content and provides excellent biomass production. TRICAL 348 TRITICALE TriCal® 348 is a winter triticale that has awnless characteristics, leading to good hay and silage production. P919 BARLEY P-919 is a beardless forage type barley. JERRY OATS Jerry Oats Seed is a western oat that is really tall and leafy therefore excellent for forage but also grain yields better than common.